Very Very Vicky: This Kitchen Gets Some Bling! When I left you last time our kitchen was almost completed. All we were lacking was a pantry which John Lindsay from Catskill Builders built to fit the space we had available. This kitchen needs some bling! I always think of the knobs as being like the jewelry accessorizing an outfit. Budget had to be considered so I chose inexpensive pulls for the cabinet doors and splurged a little on the drawer knobs. I found some great candidates. Looky, looky! working down. 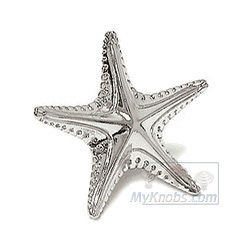 I found most of them and many more at knobs.com which has a huge selection of knobs with beach and nautical themes. This was my edited list of candidates. There were so many great knobs to choose from. 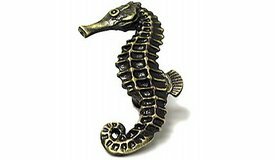 The Liberty Seaside Cottage collection was huge and temptingly affordable! So what did I choose? 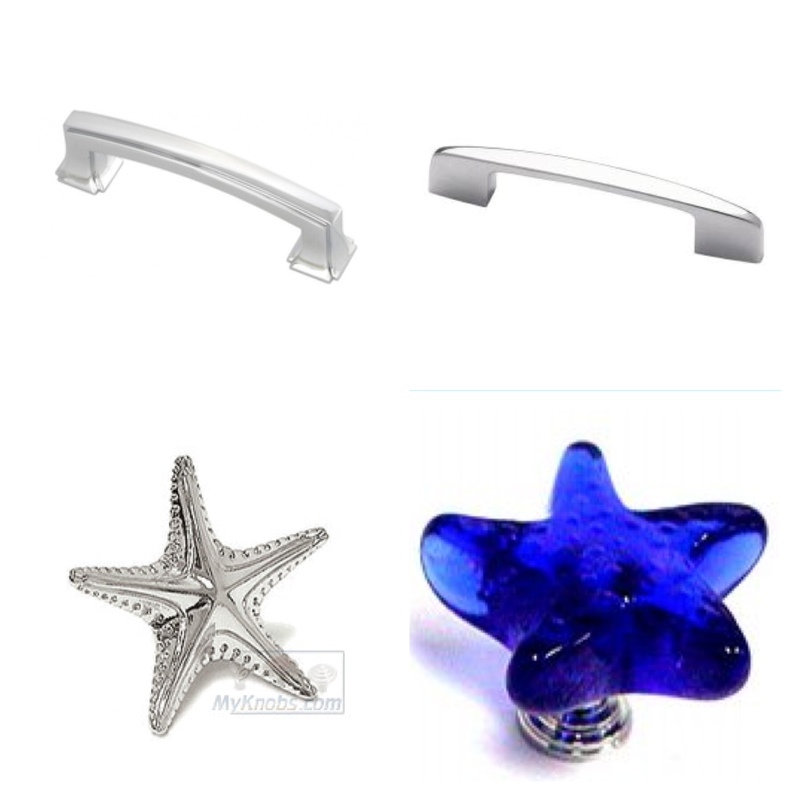 I decided to use the bright chrome Starfish knobs from Siro for the nine drawers in the kitchen. 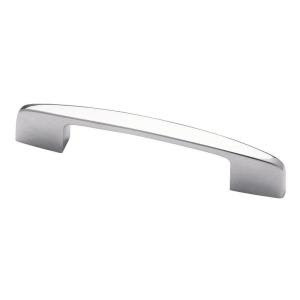 For the cabinets I preferred the Hickory Hardware pulls from Lowes but since I splurged on the drawer pulls, I chose the inexpensive Liberty Newton cabinet pulls that were in stock at Home Depot. They look fine! After a marathon shopping trip to furnish the kitchen with dishes, appliances, pots and pans, etc. and it's hardware finery installed, the kitchen is finally all decked out and ready for a party! The first holiday celebrated at Doc Holiday was Independence Day! Simple decoration--3 flags in vases. Gotta make do. My daughter Meghan painted the corkboard with the chevron pattern as a Mother's Day gift for me! Looks very inviting! 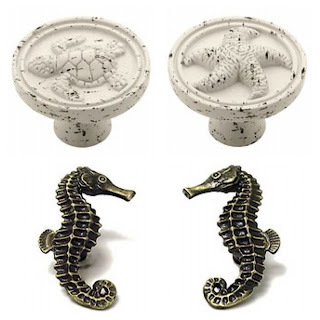 Love the seahorse & starfish knobs - fabulous ideas! Thanks Becky! Wish you were here!